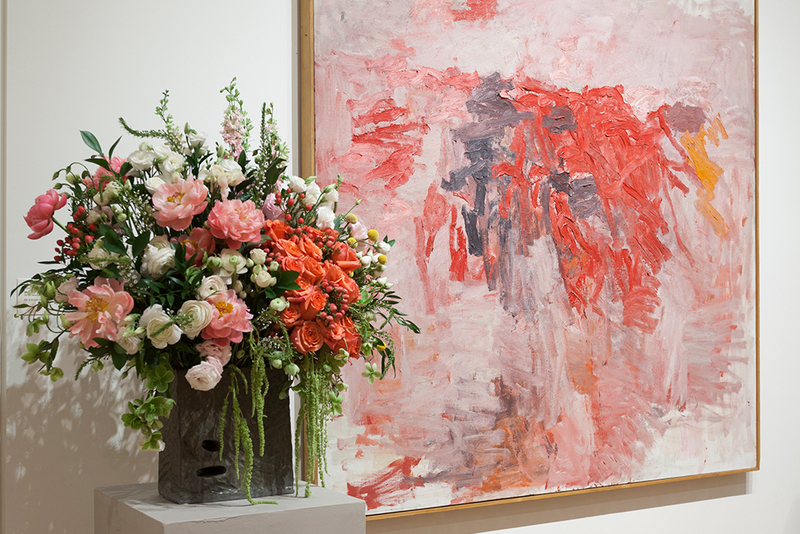 In 1976, the Museum of Fine Arts, in Boston, welcomed spring into the galleries by pairing art and flowers. The museum was struggling to pay for increased operating costs, and imposing new admission charges had significantly depressed attendance. 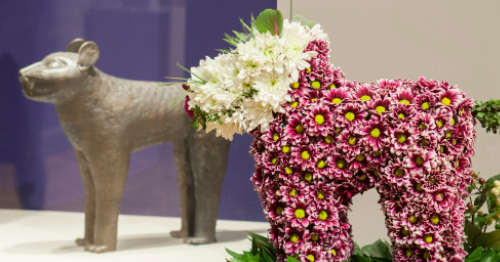 So the MFA’s membership director had approached the Ladies Committee (now the MFA Associates) with the idea of floral interpretations of art, to increase membership and to draw visitors into some of the quieter corners of the museum. The women went to work, making all the designs themselves for that first event. One of the volunteers came up with a name for it: Art in Bloom. More than 40 years later, the idea has spread, to museums throughout the United States and Canada, including New Orleans, St. Louis, Kansas City, Milwaukee, and of course Minneapolis. Containers of history brought to life with fresh flowers every year, a new way for viewers to engage with the collection. An unexpected yet ideal match. Life imitates art during Art in Bloom at Mia. Mia held its first Art in Bloom in 1983, a year after some of the heaviest snowfalls ever recorded in Minneapolis.Phyllis Colwell, then the president of the Friends of the Institute, had visited the Museum of Fine Arts during Art in Bloom and recognized that the event would be a great fit for Mia. After returning home from Boston, Colwell persuaded the Friends board and Sam Sachs, Mia’s director at the time, to bring Art in Bloom to the Twin Cities. Colwell’s efforts proved worthwhile when Mia’s first Art in Bloom raised $40,000 with little publicity beyond word of mouth. Over the past 35 years, the Friends have developed Art in Bloom to serve the Twin Cities community. Raising money for art collection, conservation, and educational initiatives like Art Adventure, the event reaches far beyond its four days in April. The $200,000 raised in 2018 helped cover busing to Mia for more than 7,000 students. And it’s still growing: Art in Bloom attendance has risen 28 percent since 2014, with a record 52,000 visitors last year. Its popularity aligns with Mia’s broader mission to make the museum more accessible and attractive to a wider audience. 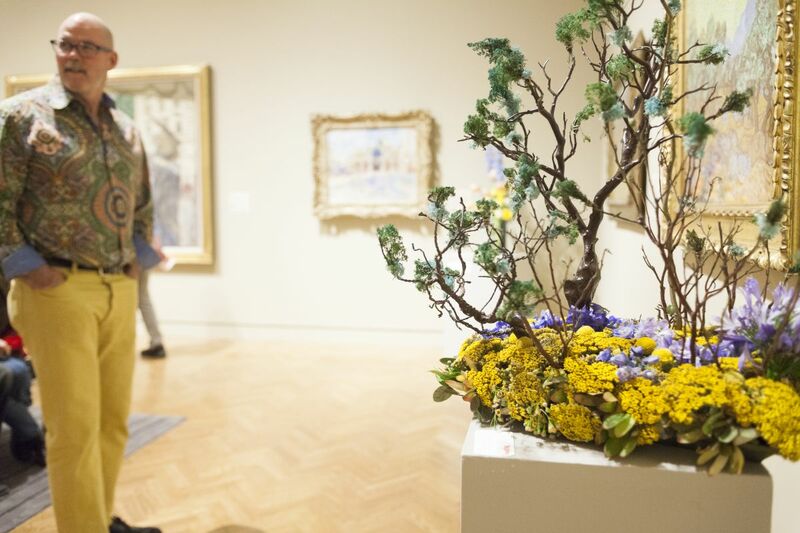 Through deliberate programming, the Friends planning committee aims to make Mia’s Art in Bloom distinctly Minnesotan but with an international reach. This year’s lectures and activities will bring internationally recognized gardening and design experts to Minneapolis while also celebrating local talent. Joseph Massie, known as “the floral artist of his generation,” will give a lecture on Thursday, while Norseman Distillery—Minneapolis’ first micro-distillery—will teach guests how to make some floral-themed cocktails on Thursday and Saturday. Another unique aspect of this year’s event: Art in Bloom coincides with the closing weekend of “Egypt’s Sunken Cities.” Impressive artifacts will greet visitors at Mia’s entrance and the theme will carry through to this year’s signature image of Art in Bloom, “The Sacred Egyptian Bean.” If you haven’t seen the exhibition yet, this weekend is your last chance to get a glimpse of the remains of two ancient cities excavated from the Mediterranean Sea. This week also promises a reprise of the first year’s weather, when more than a foot of snow fell just before Art in Bloom. The cold might slow the progression of spring outside but the fresh blooms and enriching activities inside Mia will keep its spirit alive. Stop by after work on Thursday or Friday to check out the floral displays and enjoy refreshments from a cash bar or spend your full Saturday or Sunday immersed in the experience. Sunday is Family Day so there will be programming specifically geared toward entertaining Mia’s younger visitors. General admission is free but there are several interesting ticketed events that you can sign up for. Art in Bloom runs Thursday, April 11, to Sunday, April 14. Margaret Duffey is a Minneapolis writer and volunteer at Mia. Read more of her work at http://margaretduffey.pressfolios.com.